Does the buyer pay fees? The answer is, in some cases “yes.” Real estate companies and agents utilize a variety of philosophies to establish the fees they charge for their services. There are flat fees regardless the selling price, limited service fees, percentage of the sale price fees, variable rate fees and more. Reader Question: Do buyers pay a fee when buying real estate? Sam D.
Monty’s Answer: The answer is, in some cases “yes.” Real estate companies and agents utilize a variety of philosophies to establish the fees they charge for their services. There are flat fees regardless the selling price, limited service fees, percentage of the sale price fees, variable rate fees and more. While all real estate fees are negotiable, not all agents and brokers negotiate fees. A seller paid fee calculated as a percentage of the selling price is the most common fee. In addition to the variety of philosophies utilized to establish fees, the relationship being between a principal and an agent has an impact. In real estate, a transaction most often begins between a real estate company and the seller (a principal). Initially, an agent contracting for the real estate company establishes a contract between the company and home seller. The company, not the agent, owns the listing contract. As a homebuyer, an agent can be hired to represent you before ever looking at homes. 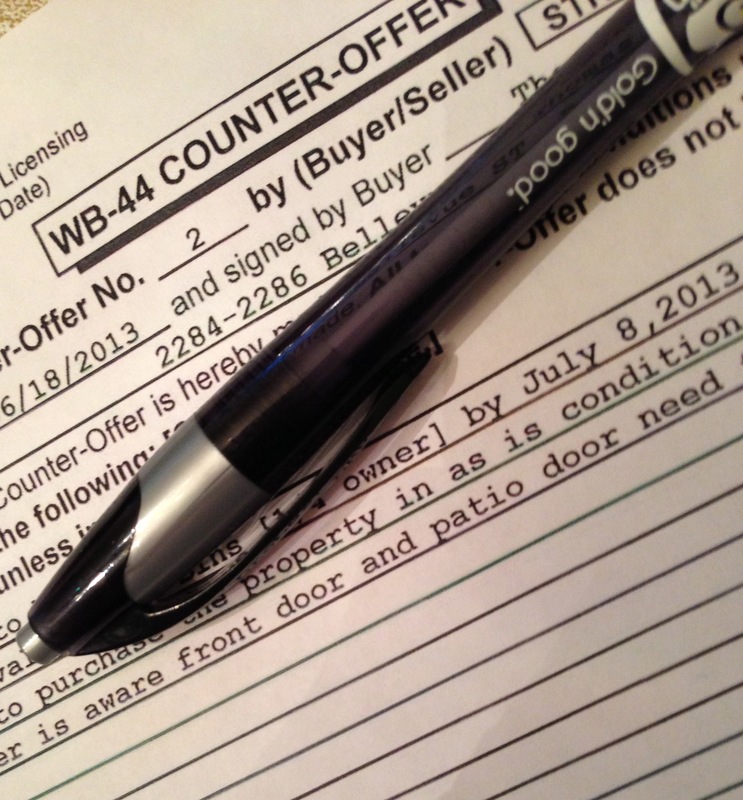 The “listing contract” defines the duties the seller is authorizing the agent to perform. The key principle in the law of agency is that the agent must always perform the assigned duties in the seller’s best interest. The law also says an agent must treat both parties fairly regardless of agency. In practice, the listing agent is not likely to produce a buyer (also a principal). When a prospect enters the picture the interests of the seller and the buyer may be in conflict. In most cases the showing agent procuring the buyer is either an agent contracting with the same real estate company as the listing agent, or an agent contracting with a competing real estate company. This scenario comes to pass because most all real estate companies belong to a multiple listing system (MLS). 1. Showing agent remains a sub agent of the seller. 2. Showing agent becomes an agent of buyer. 3. Showing agent becomes a dual agent of both buyer and seller. The timing concerning when a buyer must be given agency choices differs from state to state. Most states have approved language in the state forms that spell out the options of agency. Ask your agent for the specifics in your state. Can you be liable for a fee? If you sign a contract with an agent to enter into a buyer agency relationship it could expose you to a fee. There are agents that practice strict buyer agency. That means they do not take listing agreements from sellers. There are agents to only take listings and do not work with buyers. Most agents work with both buyers and sellers. In many cases, your buyer agent’s fee will come in the form of a split commission paid to your agent by the listing company, who collect the money under a listing contract with the seller. You need to understand your obligation to pay fees under your buyer agent contract if the amount of the co-broke fee your agent collects falls short of the amount due your buyer agent under your contract. What if there is a shortfall? What if you find a home that is a For Sale By Owner (FSBO) or a home not on the market that you want to buy? Many practitioners believe strongly in buyer representation, many believe it overplayed. It may be one of real estates’ most quiet controversies. Agency law has been getting more attention over the past twenty years. License law officials, real estate organizations and private interests have been promoting improvements in communicating the law. Both consumers and real estate practitioners have been slow to recognize or appreciate agency decisions in an increasingly complicated transaction, in part because agency law is hard to articulate. The bottom line for the home buying consumer is to be sure to read and understand the buyer agency agreement. While true for all contracts, the implications with real estate contracts can be substantial.